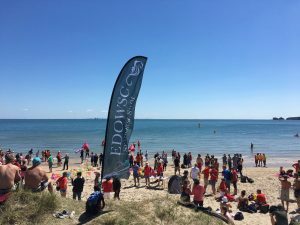 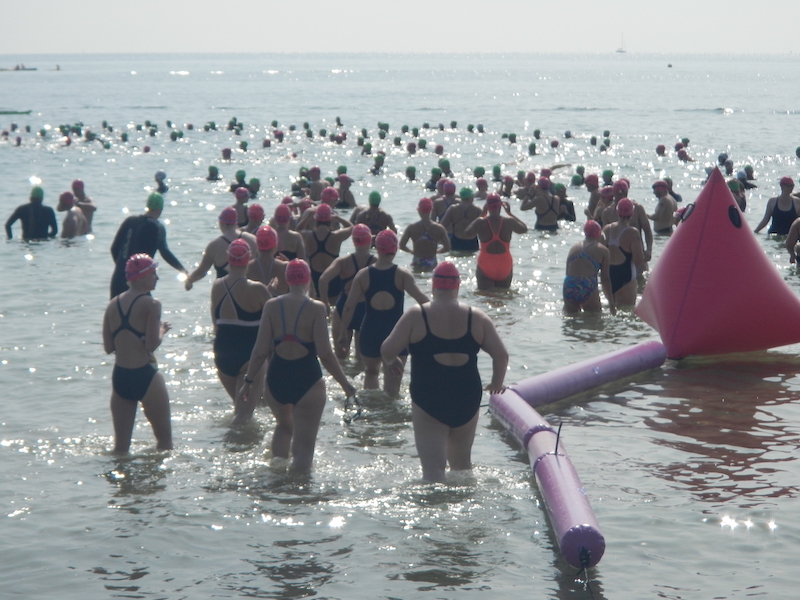 Dorset Sea Swim Weekend includes entry to 3.8km or 2km Race (wetsuit and non wetsuit categories). 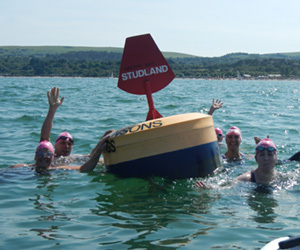 Ideal trip for open water swimmers and triathletes keen to gain confidence and experience of sea swimming. 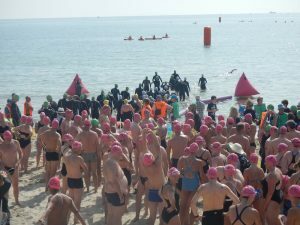 If you have signed up for The Dart 10km an Ironman or other open water swim this is an ideal challenge and training opportunity. 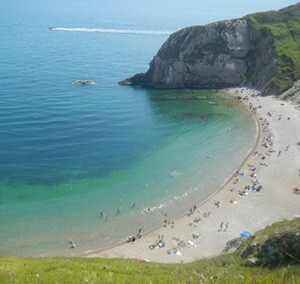 A great value fun weekend sea swimming on the stunning Jurassic coast. 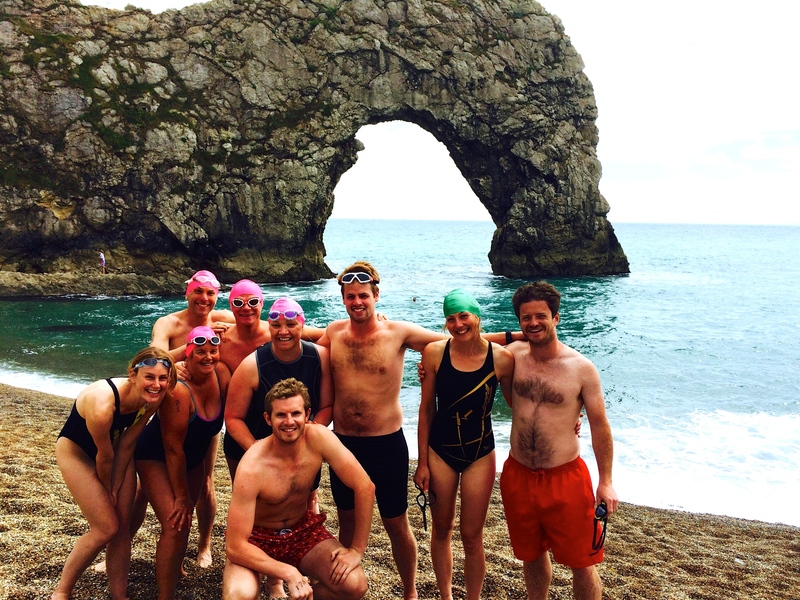 Kayak accompanied sea swim training on Saturday (2km) plus entry into exciting organised 3.8k or 2k sea swim race (wetsuit/non wetsuit) on the Sunday with full RNLI safety cover and afternoon sea swim at Durdle Door. 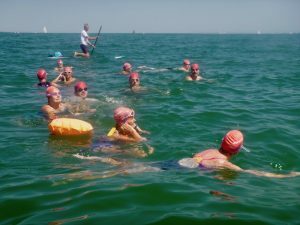 Entries are strictly limited so please be quick to secure a place. 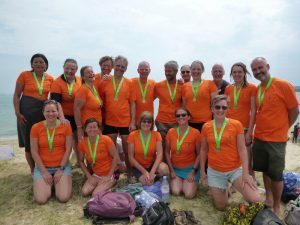 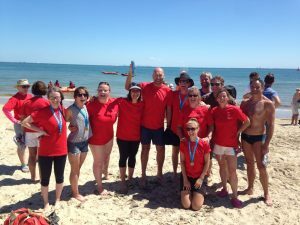 Prices include: Saturday kayak escorted swim training, woodland campsite accommodation, tents, pre race breakfast, race entry fee, t shirt and swim hat, high visibility Streamline Swims swim hat and Sunday swim at Durdle Door.